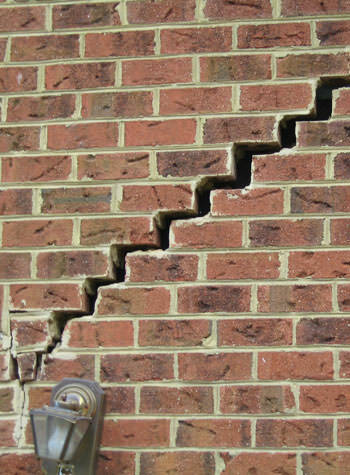 After trying to patch over their foundation cracks for years, homeowners in New Prague, MN contacted Innovative for urgent help. With concerns about the integrity of their home's structure, they knew something had to be done. A specialist was sent to the home to carefully create a plan to stabilize the home. The TEAM was then sent in to installed PowerBraces. This solution will permanently stabilize the home and the homeowners will have peace of mind that their home is safe again. After visiting our exhibit at the Home & Improvement Expo, homeowners from New Prague, MN, scheduled their free estimate for foundation repair. Their home was built in 1959 and they were concerned with cracking and bowing in their basement. System design specialist, Chad Neegaard, visited the home and inspected the basement foundation. He found two walls that were in need of stabilization and the homeowner was in agreement with Chad's recommendation for PowerBrace. The PowerBrace is a patented foundation wall repair system that's designed to stabilize failing basement walls and provide the potential to straighten walls over time. The job went smoothly and successfully and the homeowners are happy to have a stabilized foundation! We LOVE word of mouth referrals! Homeowner from New Prague, MN called on TEAM Innovative on recommendation from friends and family. She had water issues in her basement and was interested in getting an estimate for waterproofing. System design specialist, Eric Rysdam, met with the homeowner and performed an inspection. Recommendations for waterproofing with the WaterGuard drainage system and installation of a SuperSump sump pump were made - and with financing approved that same day, the contract was signed. Since the waterproofing portion has been complete, the homeowner is now also interested in egress window replacement. Another DRY basement in New Prague, MN! Looking to install some sort of drainage system at the house, probably interior drain tile but open to suggestions for best solution. Basement SE corner is wet. Can not finish flooring until I find out why , where and how to fix it. We purchased a lakeside cabin which has a known foundation issue. It is a small single story home (1,100 sq feet) built over a crawl space. The floors have visible sloping. We are interested in stabilizing the home. 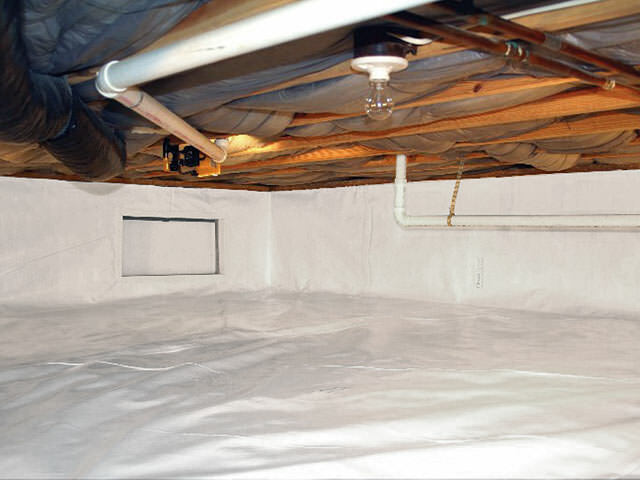 If your basement is wet, cracked, or smells musty - we can help! Our most popular drainage system, WaterGuard is the ideal solution for most basement waterproofing applications. Is your sump pump effective and energy efficient? We LOVE word of mouth referrals! Homeowner from New Prague, MN called on TEAM Innovative on recommendation from friends and family. She had water issues in her basement and was interested in getting an estimate for waterproofing. As an experienced waterproofing company, Innovative Basement Systems helps homeowners solve their basement problems fast. We have over 10 years of experience in the industry, and have been recognized by the BBB and Basement Systems for our service and craftsmanship. System design specialist, Eric Rysdam, met with the homeowner and performed an inspection. Recommendations for waterproofing with the WaterGuard drainage system and installation of a SuperSump sump pump were made - and with financing approved that same day, the contract was signed.